The beer tasting continued on Sunday night, also coincidentally International Beer Day. My parents had bought me 5 bottled beers from Devon, including two from the Red Rock Brewery. 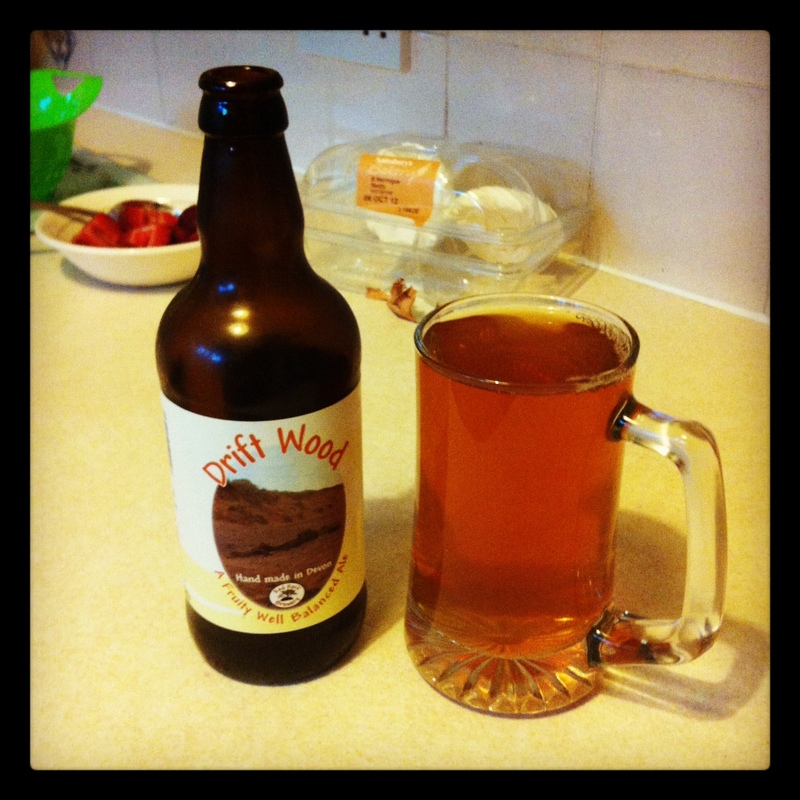 I reviewed their Traditional Bitter here, and this post is about Drift Wood, which they have taglined “A Fruity Well Balanced Ale”. I’m not sure if I would describe this as fruity. To me it is nutty and hoppy, which may well betray some sort of fruity link, but those are the two thoughts that immediately spring to mind. Now, I’m no expert at beer tasting, as has been detailed at quite some length in these pages before, but I do know that I should expect a head on a beer. This beer was absolutely flat. Still tasted great, nothing wrong with the flavour, but the picture above was taken about 10 seconds after pouring. I was pouring carefully so as not to disturb the live yeast sediment, but there’s not even any fizz on the tongue. It’s a really weird sensation, which I don’t think is supposed to exist. Still, if I found a bottle that had life left in it, I wouldn’t hesitate in drinking it again. (For the record, I am currently still drinking this bottle as it really suits my palate. We’re used to hoppy beers down here in Kent, so it’s nice to get that full hop flavour). P.S. those are Kentish strawberries you can see in the background, from our visit to Frankie’s Farmshop on Sunday morning. I don’t drink any more but I’m sure ale’s can be flat like that? I reckon another bottle may be just the same.